Here we are, the final Learn Lightning post for this series! In the past 10 posts, I’ve taken you along my journey learning how to do common admin tasks in Lightning Experience and comparing them to Classic. We’ve learned how to navigate setup, create apps, create & clone users, create groups, create & edit objects, create reports, create & edit profiles, create & edit permission sets, and use compact layouts. 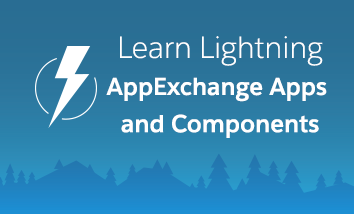 Now, let’s explore the AppExchange and learn how to install & manage third party apps and components in our Lightning org. The AppExchange is one of my favorite admin tools. I can find apps that other people have built that will make my users more efficient without me having to create anything from scratch. In other words, the AppExchange enables me to bring functionality into my org that otherwise I’d have to hire a developer to do for me. I have built my custom Wedding app in Lightning, with some custom objects and fields, but I’m missing a big piece of the planning process: tracking expenses and deadlines. That means I could build project management into my org, but that sounds kind of complicated. 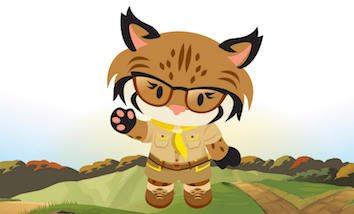 Instead of building it from scratch, I’m going to use a free app called Milestones PM from the AppExchange that already has all the framework I need. Step 1: From setup home, I can get direct access to the AppExchange by clicking the link that is front and center on the page. Step 2: Once in the AppExchange, I can search for apps that are Lightning ready and free using the filters at the top of the page. Each app has a description, screenshots, and reviews from other users. When I find the app I want to install, I select Get it Now and follow the guided steps. Step 3: When I am installing the package, I select to install it for all users. I have the ability to install for just Admins or specific profiles, which is helpful if I am installing a specialized app for just a subset of users, but in this case, I want all users to be able to use the app. Step 4: Now I can view the installed package in Setup, along with all my other installed AppExchange packages. Step 5: Milestones PM is installed as a Classic app, so I need to convert it to Lightning to see it in my org. Once it is converted, I can start customizing it for my use case. Sometimes I don’t need a whole new app, but just a piece of functionality that helps make my pages more useful. That’s where components come in handy. I think of components as pieces of an app that I can combine to create what I need, like building blocks. 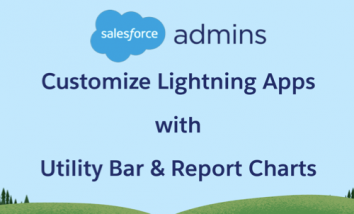 There are a lot of standard components already in Lightning, but the AppExchange has more to choose from. Using components allows me to build out my app without developing new functionality on my own. Why recreate the wheel? For my Wedding app, I want to customize my home page to contain a chart tracking my costs, upcoming milestones, easy access to my vendors, and add my wedding logo. To do that, I need to edit my home page in Lightning. Step 1: Click the setup icon, and select edit page. Step 2: Once in the page editor, I drag over the components I want: a chart to display expenses paid, a list of my vendors, and a list of my milestones from the Milestones PM app I installed from the AppExchange. Step 3: I also want to customize the view to make it more festive, so I check out my options from the AppExchange to see what components might help me make my page look better. I can access the components available on the AppExchange directly from this page editor by clicking the big blue button on the bottom left. Step 4: After reviewing all the options, I choose the Jumbotron component because it allows me to put my own image, text, and button on my page. That way I can get my wedding logo and link to our wedding website from the app home page. Just like installing a traditional app, I install the component from here into my org. Step 5: Now I can drag over the installed component to my page, just like I did for the standard components. The Jumbotron component allows me to add my own image, colors, and url button. Step 6: Let’s save & activate this new amazing home page so we can see it in action! 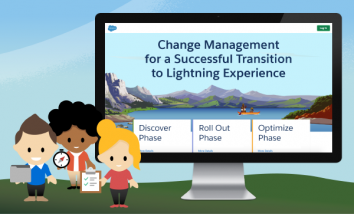 In Lightning Experience, the AppExchange offers more than just apps. Now we can customize our apps by using components pre-built for us on the AppExchange that we can install the same way we are used to installing apps in Classic. This makes us next-level app builders without having to code, which is a huge win. Another big difference between using the AppExchange in Lightning versus Classic is that we can open the AppExchange within our org, without having to open a separate window. That makes it easier to take advantage of all the amazing apps, packages, and components offered in our partner ecosystem. Thank you for joining me in my journey to Learn Lightning! Let me know what else you’d like to learn about Lightning @gilliankbruce.